Audio mixing can be a tough nut to crack. The ingredients of what goes into a good audio mix are varied, and even more confusingly, change according to the person you are asking. We snooped around a bit and came up with some mixing tricks that work and are not all that complicated to master. 1. As a ground-rule don’t use headphones while mixing. 2. Recording in mono can help in the mixing process as it allows more room for other audio elements to fit in than a stereo recording. 3. Working on volume automation can help bring the, interesting but slightly toned down sounds like mini riffs to be heard in the mix. 4. The mixer has to be in neutral and faders that are not in use need to be closed before starting off. 5. Walk out of the room and listen to the mix, if it still sounds good, you’ve done your job right. Sitting in front of the monitor can skew perceptions ever so slightly! 6. Make sure that you have control and understanding of the audio spectrum. Don’t let too many elements compete in the same frequency. 7. 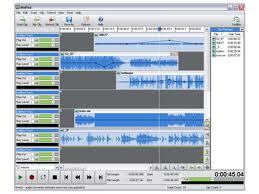 Use good audio mixing software, like MixPad. 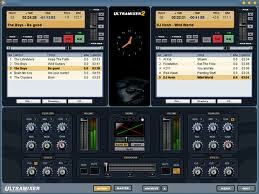 There are also several free audio mixing programs like the free edition of Ultramixer. 8. Work on the EQ after your entire job with audio mixing is done. Relying too much on EQ for better sounding audio mixes is a bad idea. 9. Sounds that are barely audible are better left out of the mix rather than boosting them which can make the audio mix sound unclear and unnatural. 10. Make someone else listen to your mix.